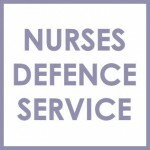 NMC Case Law for Nurses | Nurses Defence Service – UK. Nurses Defence Service (NDS) summarises Nursing and Midwifery Council (NMC) appeal cases on this page and other cases that are relevant to NMC procedure and practice. If you would like us to consider reporting on a particular case, let us know. See also our nursing related case law index to read about other areas of law relevant to nursing practice and regulation. In Oriaku, R (On the Application Of) v Nursing And Midwifery Council  EWHC 235 (Admin) – the court confirmed that the NMC’s Registrar has the power to determine that weak complaints against registered professionals (nurses and midwives) can be closed without referring the complaint to the Investigating Committee. In NMC v Miller  EWHC 2601 (Admin) the NMC had imposed an interim order of suspension of 18 months, followed by a 9 month suspension order, imposed by way of a statutory application to the High Court. The judge declined to grant the NMC a further extension of time, holding that there had been excessive delay in concluding the investigation into allegations against the nurse. In Ogbonna v Nursing and Midwifery Council (NMC)  EWCA Civ 1216 the Court of Appeal directed that it was incumbent on the NMC to call prosecution witnesses. The NMC should not to rely on witness statements against nurses without making proper efforts to call the witnesses. (October 2010) NB. The nurse was presented by an lawyer who works at Nurses Defence Service. See also: Ward v NMC  EWHC 1158 (Admin), and also R (Bonhoeffer) v GMC  EWHC 1585 (Admin) on the same point. When a witnesses evidence is decisive they should be called to give evidence. There is however guidance on when this principle might not apply. In Susan Lim Met Lee v GMC (2016) it was held that a practitioner practising in a foreign jurisdiction who has regulatory findings made against them must promptly inform the UK regulator of that outcome, even if it is the subject of an appeal.